Poor Belgium. If I got a Euro every time I heard it written off as boring, I could stay there for a week on the proceeds. It is an off-the-shelf comment, the default thing to say: like “you must be very proud” to the father of the bride. But he was being unfair. 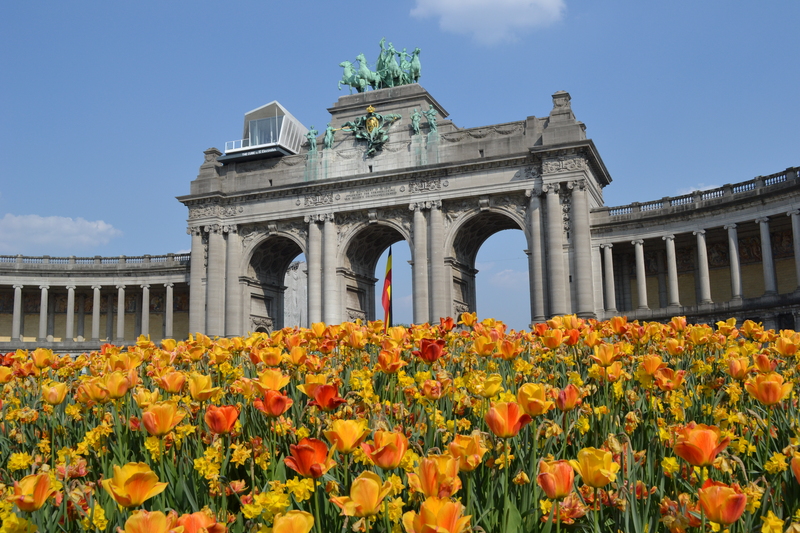 Every city has litter and traffic and building sites, boring offices and boring office workers – even Des Moines, I should imagine – and I can certainly think of cities with fewer parks than the 51 which Brussels claims. Most – it is true – are not bang in the centre and a traveller “doing Europe” at a clip might pass through without knowing about them. But just a few steps from the Gare Centrale is what Lonely Planet reckons “one of the world’s most beautiful squares”. The Grand Place is surrounded by tall brooding guild houses, flecked with gold leaf, and a spectacularly gothic town hall. Every other August, the square is carpeted in flowers, a riot of red and yellow, purple and pink. Perhaps I was just lucky to be there on a hot summer’s weekend, when the litter was dry and none of the building sites was muddy, and the offices looked brighter and the office workers were out of their suits and dressed as themselves, relaxed and having fun. I remember sitting in the sun with a Trappist beer on a lively street crammed with galleries and bars and laughing hipsters; and walking out past the mirror glass behemoth of the European Commission to the Parc du Cinquantenaire with its triumphal arch and eruptions of tulips and young couples sprawling on the grass; and taking a bus to the house and workshop of Victor Horta, the Art Nouveau pioneer. Then there is Bruges. “It’s a shithole,” said Colin Farrell’s character in the movie In Bruges. But no one agrees with him. Condé Nast Traveller voted it one of the best cities in Europe, and even Bryson – as if guilty about the kicking he had administered to Brussels – was extravagantly nice about it. “So beautiful,” he said, “so deeply, endlessly gorgeous…Everything about it is perfect”. It is a dreamy city of canals, humpback bridges, step gables and windmills, which escaped the twin horrors of the twentieth century: aerial bombardment and town planning. Those who must find fault say there are too many tourists. 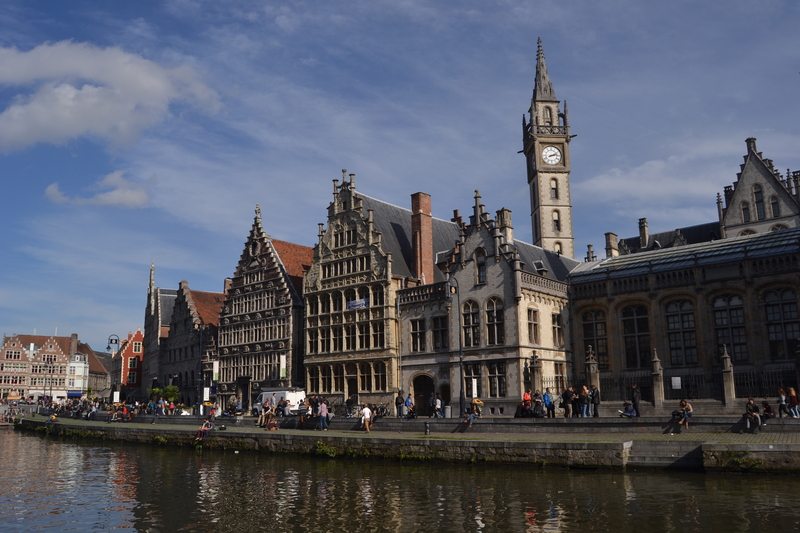 They should go to Ghent instead, then, which has much of the same magic without the crowds. Both are best explored in aimless urban rambles, walking along the edge of canals, and over bridges and ducking down alleys into a maze of back roads. Belgium might not be the first to come to mind when you recall Saki’s comment about nations which “make more history than they can consume locally”. Yet look at the place names: Waterloo, Flanders, Ypres, Mons, the Ardennes. Ancient Ieper (Ypres) was devastated in World War I, but its medieval buildings were carefully rebuilt. At eight every night, the traffic stops around the Menin Gate and the fire brigade plays the Last Post. But for all the historical resonance, and all the poignancy of its war memorials, Belgium is in shirtsleeves where other countries wear black tie. Other capitals have statues of kings and generals, prime ministers and arms manufacturers: Brussels has a sculpture of a little boy having a wee. Ghent has a giant toilet roll. In the nation of Hergé, the comic book is a major art form with a long and distinguished history. One of Horta’s buildings in Brussels is now the Comics Art Museum. Antwerp is known for Rubens, fashion and nightlife, and takes each about equally seriously. It is as good a place as any to start working your way through Belgium’s thousand or more characterful beers, some dark and gutsy, some as delicate and complex as fine wines. They are used instead of wine in the moules à la marinière iconically served with frites and mayonnaise; also in coq à la bière and stoverij, a take on boeuf bourguignon. 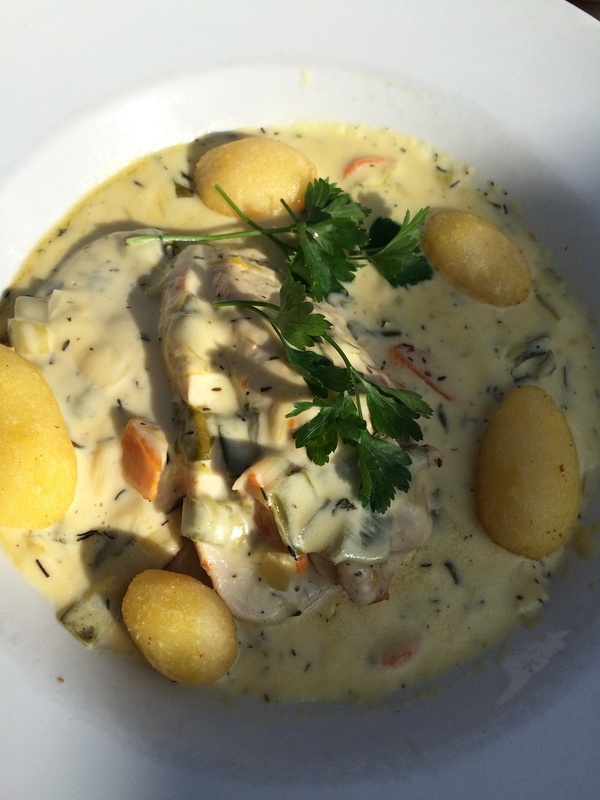 But there is more to Belgian cooking than reimagined French dishes: Ghent’s waterzooi, for instance, with chicken in a creamy broth, and Antwerp’s paling in ‘t groen: eel stewed in a herb and shallot sauce. I sometimes wonder whether the people who call Belgian boring have even been. 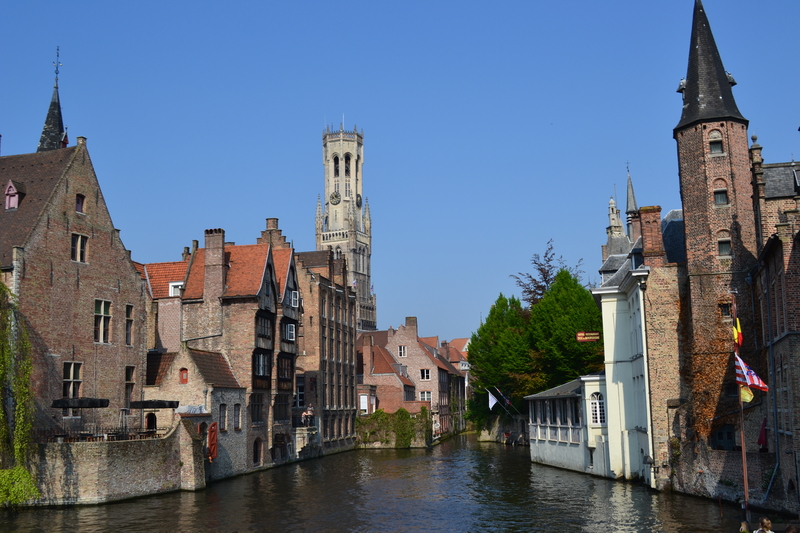 We spent nearly a week in Bruges last year and even our kids loved it. In fact, it was their favorite stop in a trip through England, France and Belgium. A crucial point you make is about those “doing Europe”. If one’s short on time and/or money any place can be boring. Belgium, the capital of absurdity, is anything but. Your article makes as much clear, and you haven’t even got started on the outdoor opportunities in the Ardennes or the bizarre Belgian politics and it’s very visible consequences like those bridges to nowhere. Belgium is fun, and so are the Belgians I can add. Belgium is definitely on my to-go list! My friend raved about Bruges too. And as much as I enjoy Bill Bryson, he is not always right! Belgium is definitely not boring. 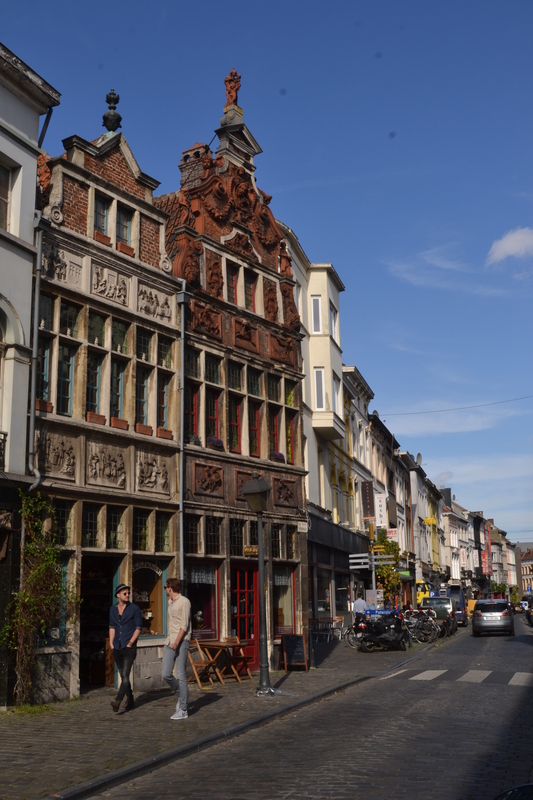 I lived there for a year – partied hard trying as many of those Belgian beers as I could, gained weight eating lush chocolates and was introduced to fine Belgian dining involving moules et frites! Oh and there’s quite a lot to see too….